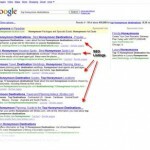 Home » Now That I Have Good Rankings, Can I Stop Doing SEO? On the surface it may seem like once you have reached the top of the search engine rankings, the work is done and your website will remain near the top for your main keywords. However, the internet is much too competitive of a marketplace for this to be true. 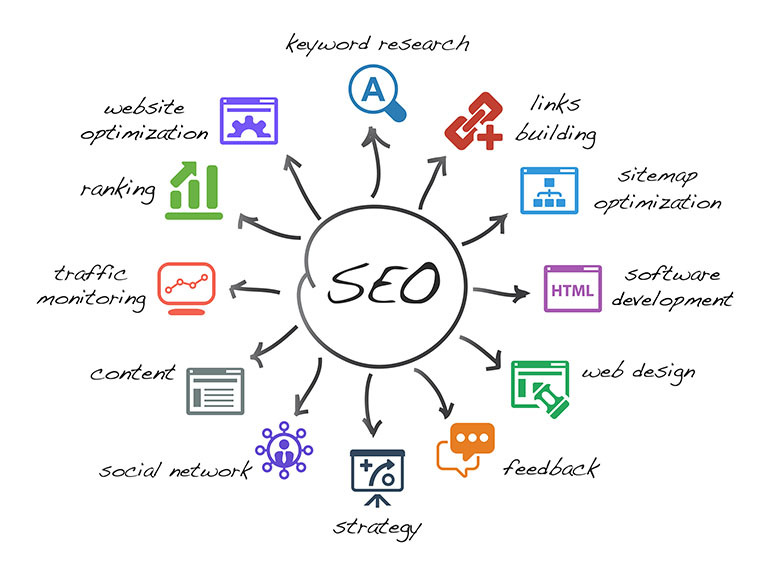 Effective SEO marketing involves several strategies all working at once to achieve not only good rankings but ultimately increasing conversion rate by driving more traffic from your target audience. Once the processes at work are stopped, your website will slowly begin to fall in the rankings as your competitors with active SEO campaigns take your place. It takes continuous SEO maintenance to remain at the top of the competition, SEO is not a one-time shot. The following are important reasons why you should continue with your SEO marketing or SEO services even after achieving good rankings. The internet allows anyone with a connection to advertise their business which means that competition for search engine rankings is fierce. It has been continually proven that websites that appear near the top of the first SERP get a much higher click through rate and depending on your business, you could be competing with hundreds or even thousands of other websites trying to rank well for the same keywords. If you reach the top of the rankings and stop using the strategies that got you there, your competitors will quickly take the top rankings and push your website further and further down. Google is the most used search engine in the world and eventually, some may find ways to exploit its algorithm with black hat SEO tactics to get high rankings. For this reason, Google regularly updates its algorithm to change the way it crawls and ranks websites. It is very important to keep up with Google algorithm changes because a certain SEO strategy that once was effective may become ineffective after an update or even worse, be eligible for penalization by Google. You must adjust your SEO marketing strategies with each Google algorithm update or your rankings could be hurt by the new algorithm. The professionals at an SEO agency are always informed on the latest Google updates and can help you adjust your SEO marketing for better results. There is a saying in the SEO industry that “Content Is King” as it takes fresh, useful, and engaging content to keep your audience or customer base coming back to your website. People consume content on the web at an incredible rate, especially on mobile devices, and if you stop offering fresh content, you will lose appeal among your audience as your old content becomes stale or irrelevant. Google is also more generous to websites that consistently offer new content. Content creation should be at the center of your SEO marketing strategy and an SEO agency can provide content creation services if your company does not have the time or the resources to do it in-house. According to an SEO ranking study done by Search Engine Roundtable, ceasing all SEO marketing activity after reaching the top of the rankings can result in a drop in the rankings as high as 30 percent. Many SEO strategies work to build links to your website and when you stop link building, Google may determine that your website is no longer lively or relevant. The same study from Search Engine Roundtable also showed that companies who continued their SEO marketing after getting good rankings enjoyed up to an 18 percent increase in their rankings. The internet is constantly changing with new technology, trends, and devices and it is important for your website to stay in line with the newest changes in technology. For example, more people do internet searches from a tablet or smartphone than a traditional computer, which was not the case a few years ago, and if your website is not mobile friendly, most mobile users will immediately leave your site. As the technology changes, you must reassess your SEO marketing strategies to work with the changes and you may even need to make adjustments to your website. This is another area where it helps to hire an SEO agency because SEO professionals stay up to date on the newest trends and technologies and can help you adjust your SEO campaign and your website accordingly. Companies often go through regular changes whether they are changes within their industry or internal changes such as new ways to conduct business, new products or services, or rebranding. Whenever you make a significant change to your business, you must reflect the change in your SEO marketing campaign. Rebranding and new products or services are excellent sources of new content that will keep your current audience engaged while also attracting new potential customers. The trends in user behavior tend to change over time and if you do not change your SEO strategies to accommodate these changes, you will lose rankings and your internet traffic will go down. The increase in the use of mobile devices mentioned above is one major change in user behavior that directly affects the search rankings and traffic to your website. Another change in user behavior you should watch out for is keyword use. The keywords used to search for a particular product or service may change over time and if you are targeting keywords that are no longer used, you will not rank well for the new keywords. 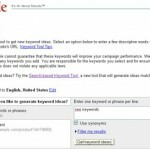 Continuous keyword research is an important aspect of SEO maintenance. Users can get to your website through many avenues and they each use your website differently once they arrive. Web analytics data allows you to view the activity of your visitors on your website as well as how they got to your website and what set of keywords they used to get there. 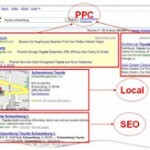 All of this information can help you improve your overall SEO marketing. Knowing what most visitors do on your website can help you improve what is working on your site as well as notice what is not working to create a better user experience. If you notice that most users reach your website through a social media outlet like Facebook, then improving what is already working on your Facebook profile can help attract even more traffic. Website analytics can be difficult and time consuming to analyze for many companies but the information it provides is crucial for good SEO marketing. Agencies that offer SEO services can provide web analytics consulting and suggest or make adjustments in your SEO strategy based on the data. One of the ultimate goals of SEO marketing is to establish your company as an industry authority in your particular niche. This requires consistent content creation that is relevant and timely for your target audience as it takes time to build your authority. If you stop your SEO marketing strategies and do not create fresh content for your particular audience, you will not be able to establish your company as an authority in your niche. There are some things on the internet that you cannot control such as negative user comments and reviews which can hurt your online reputation if ignored. Your company’s online presence and rankings in combination with user reviews and comments about your business make up your online reputation. It is important to maintain a positive online reputation because most consumers look to the internet first if they need a product or service and your online reputation will have a huge effect on the impression that users get of your business. Maintaining a good online reputation requires consistent activity to respond to comments and reviews, both positive and negative, or you may get overloaded with bad reviews which will hurt your online reputation and search engine rankings. Just because you have reached your desired place in Google’s SERPs, this does not mean the job is done. Your SEO marketing strategy should be consistently implemented and adjusted to remain high in the SERPs which will help boost your conversion rate and ROI. Ceasing all SEO activity once you climb the rankings will cause your rankings and traffic to fall because you will have nothing new to offer your audience and no idea of how your targeted audience behaves on your website to improve their experience. An SEO agency has the expertise to not only improve your rankings in Google’s SERPs, but also implement a continuous SEO marketing plan to maintain good rankings. If your company could benefit from the assistance of an SEO agency, contact Proceed Innovative, LLC. We provide a full range of SEO services and we work with each client individually to create a unique SEO marketing plan to help achieve and maintain good SEO rankings. For more information about our services, give us a call at (800) 933-2402.